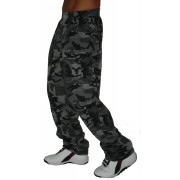 Baggy workout pants from Crazy Wear and others are roomy with tapered ankles. 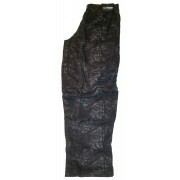 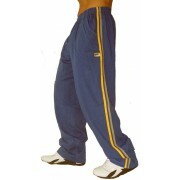 These gym pants also have side pockets and 2" elastic waistband. 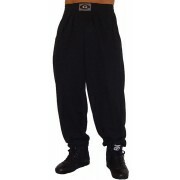 Best Form baggy workout pants are 100% cotton. 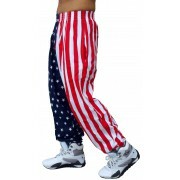 Crazee Wear and Golds Gym are a 50/50 cotton/poly blend.